Looking for Crete Instagram inspiration? Rethymnon is a beautiful city. Often overlooked by Chania and Heraklion, I was completely taken with Rethymnon. Even after nearly a month in Crete, I couldn’t help but be blown away by the city’s charm and beauty. 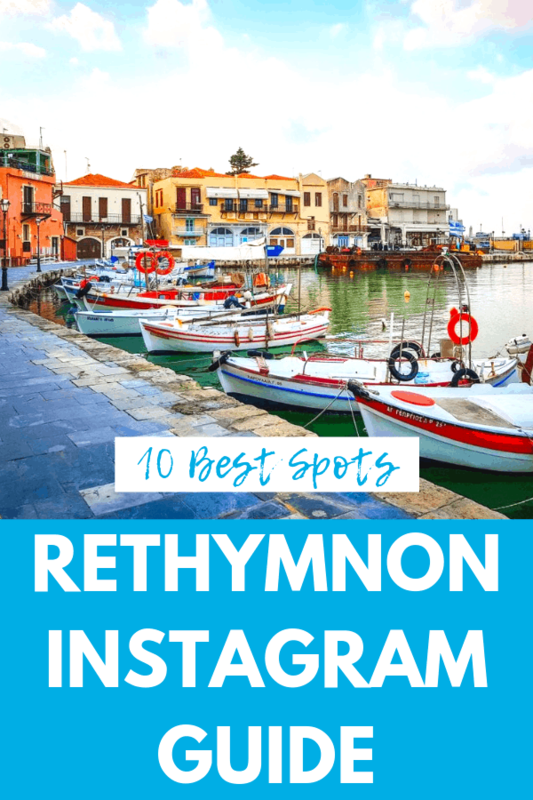 Here are the ten best (in my opinion) and most Instagrammable places in Rethymnon plus their locations so you can find them on your own! 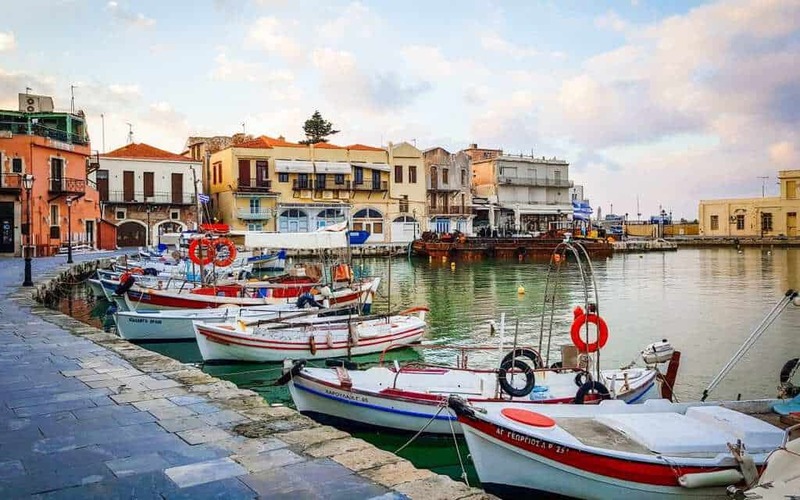 From famous landmarks to hidden gems, here are our favorite Rethymnon photography locations. When in Rethymnon, one goes to the lighthouse. It’s impossible to imagine anyone coming to the city and not seeing it. However, there are better times for photographing Rethymnon’s most iconic spot. During the day, especially in the high summer, the light can get really harsh. Instagram is awash with washed out and overexposed photos from here. I personally think that photographing it at golden hour does wonders, bring out the deep colors of the water and giving a better background for the sky. There are many different angles that work. You can go all around the harbor, seeing what works and what doesn’t. There’s a crane behind it, so some angles will only work if you can photoshop it out. You can also take an interesting shot of the lighthouse through the arch of the tourism office nearby. There are many great shots taken from the Fortezza looking out, but my favorite view is from the ground looking up at the watchtower. You get beautiful rocks and waves in your shot. One of my favorite things to do in Rethymnon is to walk along the shore at sunset, and this photograph really sums up what this experience feels like. If you start at the Egyptian Lighthouse and make your way towards the bus station, you’ll find dozens of places you want to stop and photograph. This relatively short walk is packed full of beauty. You need to set aside a lot of time for your trip to the Egyptian Lighthouse since the Venetian Harbor is just next to it. Between the two, you can easily take hundreds of shots and selfies, testing out a million different angles. The boats in the harbor are one of my favorites sites in Rethymnon, along with the beautiful waterfront restaurants and cafes behind them. Crete is full of beautiful beaches, and no doubt a relaxing day lounging in a sunbed and lapping up waves is high on your to-do list. The beaches here offer great opportunities for photography. While none of them can compare to say, the natural beautify of Seitan Limania, there is still so much to enjoy here. And you don’t have to climb down a terrifying cliff to get to the beaches of Rethymnon, so that’s a major plus! These charming blue steps in the Old City are next to the tavern Vassilis. Thank you to Stelios for helping us find the exact address! Stop by the tavern (which is his Uncle’s) for a refreshing drink after getting your Instagram pics! This is where you go to Rethymnon if you want to see the city’s best murals and street art. If you’re the kind of Instagrammer who longs for a colorful wall and a hint of cool, then look no further. Greece is full of beautiful wayside shrines. These poignant spots are often put in beautiful settings, like this one at the base of the Fortezza. It’s almost impossible not to photograph them, as they seem so important and ethereal. I encourage you to take your pictures, but there are a few things to know before you start shooting. Many of these mark the sites of accidents, and many Greek Orthodox believe that the person who died is still here in part. Also, these are important religious spots, doubly so because they are so personal in nature. If you choose to photograph them and post them on Instagram, be respectful. Don’t vandalize them or change them in any way. If they are not a part of your culture, then use your platform to further an understanding of a culture different than your own. If your Instagram account is dedicated to travel, or if you’re just an avid traveler yourself, then your heart will flip standing by this giant globe monument in Memorial Park. There’s so much room for creativity here (way more than my straightforward picture). I have been having a hard time finding out what the monument is to, so be respectful. I’d avoid yoga poses, for example, until you know more about it. (I tend to avoid yoga-Instagram in general, but that’s just because I have no flexibility whatsoever). If you know more about the monument, let me know in the comments so I can update this post. Dining at Avli in Rethymnon is picture-perfect, with a mix of old school Greek charm and modern sophistication. You really can’t ask for a more perfect setting to dine in during your Crete vacation, especially if you go when the flowers are in full bloom. Rimondi Fountain is one of the city’s best-known sites, but nearly every photograph I’ve seen of it on Instagram is bad. My own photos of the fountain are bad. This is a hard place to photograph. If the light is off even a tiny bit then it will be covered in shadows. It’s in kind of a strange corner, so there’s not a lot of space to work with. It’s historically important and some elements are beautiful, but altogether its kind of a weird shape. Finally, most people’s photos (including mine) mess up their colors to better deal with the godawful shadows. 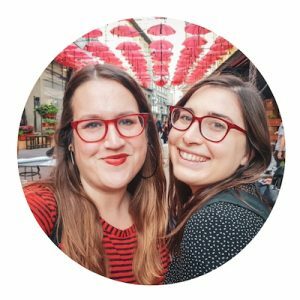 So why is it on my list of the most Instagrammable places in Rethymnon? Well, first, you’re going to see it. Second, you’re going to want to photograph it. And if you’re doing research ahead of time for places to photograph in Rethymnon, then you have enough time to plan your shot. After combing through hundreds of IG photos of the fountain, this is the only example of one that I liked. Seriously. The only one. Shots of just the fountain were never really done well enough to be interesting, and far more often they were a mess. Shots of people in front of the fountain work better, but they’re still tricky. In most of the photographs I’ve seen of people in front of the fountain, the people look unrelated to the fountain like they’re in an entirely different picture. I’m telling you, this is one hard landmark to nail. I think the reason this one works is her dress is bright but doesn’t clash with the fountain, and her hat pulls out some of the colors of the fountain without competing against it or being too beige-y. I’m sure other colors would work, like maybe baby pinks and light oranges, but the shots I saw of all black and all red were just not right. You can also see how she was still dealing with some shadows, but she’s standing just so that her head looks like it’s being framed by the natural light. Seriously, this simple photo gets so many things right that the average shot of this fountain misses. So plan what you need to plan. Get your lighting right. Or opt for beautiful detail shots. And if you hate everything you shot, you won’t be the first (or the last) IGer to be taken down by the fountain. Budget: A room in a hostel, usually $15-25 USD per night for a dorm bed or under $50 for a double. Still Looking? Check out our full Rethymnon Hotel Guide.